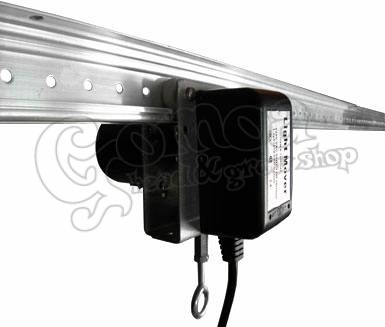 Light Mover is an adjustable, self-propelled light mover that transports a light system along a 180 cm aluminum track. Simple, lightweight and easy to install, they can handle reflectors and lamps. This Light mover has a 8 rpm Intelli Drive Motor which pauses at each rail end for a customized time period from 1-120 seconds.